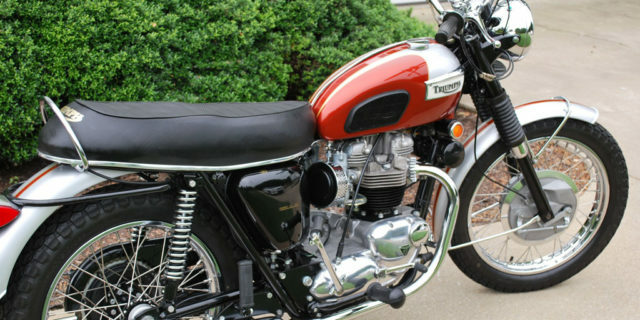 This is a very nice 1969 Triumph Bonneville. Restored low mileage bike. Modern touches – exhaust ceramic coated inside and electronic ignition. 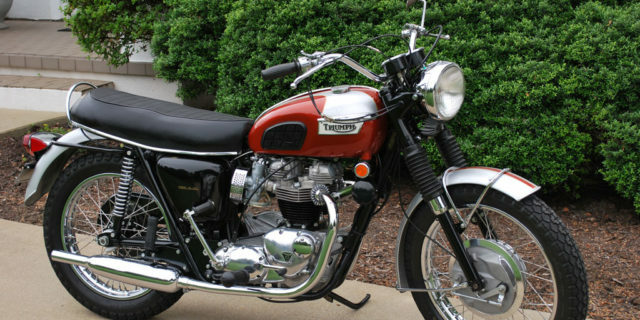 My first real street bike, back in the 70s, was one just like it. The paint scheme on the ‘69 had a few variations – all in burnt orange. This is the only one I’ve noticed with the gold pin striping verses the normal white stripe. 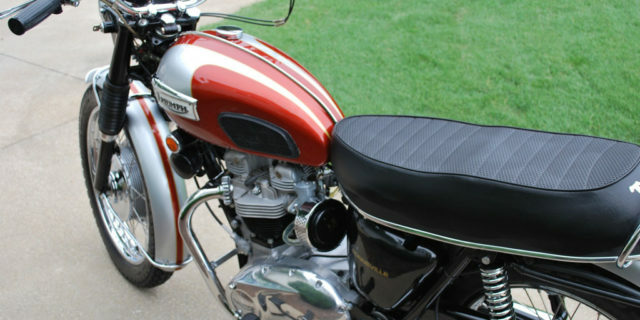 The paint work was done to match the NOS front fender that came with gold striping.